With more than fifty million sold, Sophie the giraffe teething toy, the wildly popular toy from France, is a fixture in nurseries all over the world. Now comes the first ever licensed Sophie book -- the perfect accompaniment to the winsome toy! 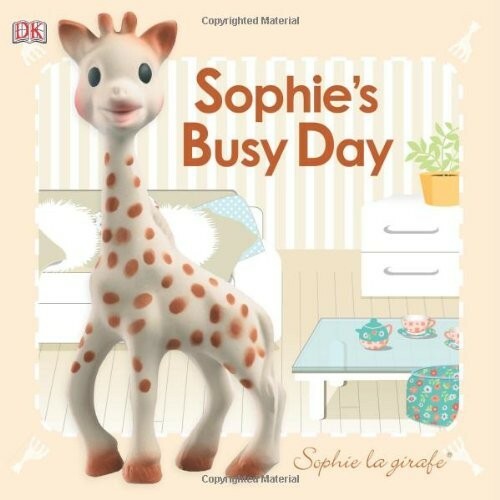 Sophie's Busy Day is an engaging touch-and-feel introduction to the world of Sophie la girafe. Babies will love exploring and discovering different textures -- from bumpy, scaly, sticky, and shiny -- as Sophie la girafe interacts with them on the page, making this a perfect way for encouraging tiny fingers to explore and young minds to develop.